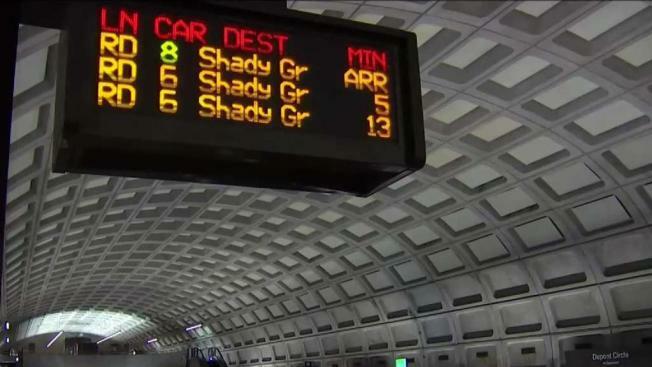 A lot of Metrorail riders have been getting money back - to the tune of about $1 million - since Metro promised to refund riders who are more than 15 minutes late during rush hour, News4 has learned. Metro started the "Rush Hour Promise" on Friday, Jan. 26. Since then, it's credited $961,675 back to riders' SmarTrip accounts for late trips. “That’s good. I feel like it’s good. I mean, it’s worth it,” rider Kattia Cortez told News4. "That is crazy, and I wish that they would take the million dollars to make the Metro functioning,” said another rider, Christa Cox. Starting Friday, you will get some money back into your pocket if your Metro train is late. However, Metro said the amount is actually well below the approximately $2.5 million it budgeted for the Rush Hour Promise. Cox said she rides Metro every day and she's received credits before - but that's not what she wants. "I mean, honestly, I depend on the Metro to get me to a place at a certain time, and the refund - while nice - I’d just rather have a reliable metro system,” she said. 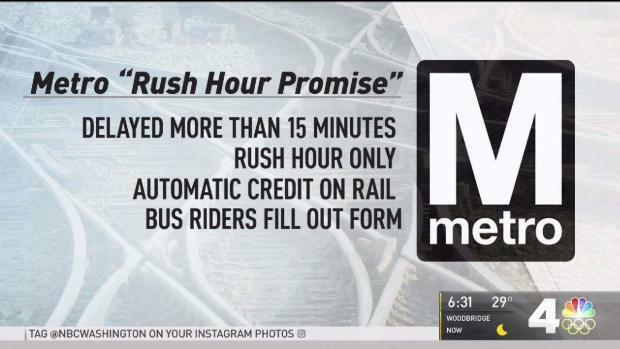 Meanwhile, Metro is confident the system is becoming more reliable and officials say they are going to change the rush hour promise time from being late 15 minutes down to 10 minutes. While Metrorail customers have received hundreds of thousands of credits back, Metro said Metrobus riders have only been credited about $1,000. Bus riders have to fill out a form for riders to get the credit back.